Do you want to see the Guest Photo Gallery? Click here for Guest Photo Gallery! © 2018 Lana's The Little House and/or Lana Lewis. All Rights Reserved. Visual copyright rules apply to all photographs in this website. 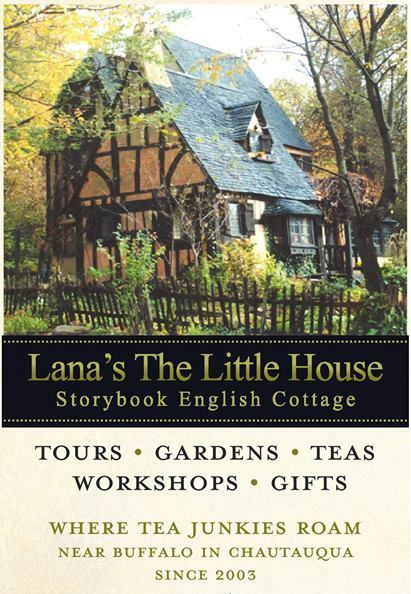 No content or imagery can be used or duplicated without the express written consent of Lana's The Little House. Refer to Copyright Policy for further information and permission request. gourmet tea, loose tea, fine tea, tea sachets, tea bags, Lana's tea, Harney tea, snowflake tea, earl grey tea, English breakfast tea, black tea, green tea, oolong tea, white tea, brown tea, yellow tea, silken sachets, stump teapots, for life teapots, yixxing teapots, ceramic teapots, Japanese teapots, porcelain hand painted teapots, finum filter, finum baskets, finum tea filters, finum paper filters, Lana's scone mix, scone mix, blooming teas, art teas, teapots, tea mugs, tea tins, 50 tea bags of Hot Cinnamon Spice, Hot Cinnamon Spice Teabags, Paris tea, Paris Sachets Tea, Holiday Tea, White Christmas Tea, Lana's Tea.